We’ve talked about quinoa before here at Healthy Body, Happy Spirit. Today we’re giving you a few more facts about one of my favorite healthy staples. Visual learner? Scroll down for the slideshow. It’s a grain crop, grown primarily for its edible seeds. It’s also a species of goosefoot (Chenopodium) and a pseudo cereal (its seeds can be ground into flour and consumed) rather than a true cereal, as it’s not a member of the true grass family. It’s also closely related to species such as beetroot and spinach which have shrub like growth. It originated in the Andean region of Ecuador, Bolivia, Colombia and Peru, where it was domesticated 3,000 to 4,000 years ago. It has gained popularity worldwide and is now cultivated and consumed in many countries such as the United States, Australia and Japan. 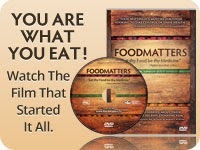 What are the nutritional benefits? Quinoa seeds contain essential amino acids like lysine as well as important minerals such as calcium, phosphorus, and iron. A deficiency of essential amino acids can lead to symptoms of nervousness, exhaustion, and dizziness. Quinoa can help protect against these symptoms. Calcium and iron are, of course, important nutrients, especially for women. Quinoa consists of a unique combination of anti-inflammatory compounds. These may lead to a decreased risk of inflammation-related diseases and conditions, including obesity. · Saponins including molecules derived from oleanic acid, hederagenin and serjanic acid. · Small amounts of the anti-inflammatory omega-3 fatty acid, alpha-linolenic acid (ALA), are also provided by quinoa. Quinoa is high in protein and lacks gluten which is good news for those who suffer from Celiac disease and gluten intolerance. The nutrient composition of quinoa is favorable compared with many common cereals earning the quinoa grain the title of being called a “super food”. Nutritional evaluations indicate that quinoa is a source of complete protein, that is, it contains all the essential amino acids required in a human diet in correct proportions. The protein content per 100 calories is higher than brown rice, potatoes, barley and millet, but is less than wild rice (Indian rice) and oats. In comparison to cereal grasses like wheat, quinoa is higher in fat content and can provide valuable amounts of heart-healthy fats like monounsaturated fat (in the form of oleic acid). The grain is additionally a good source of dietary fiber and phosphorus and is high in magnesium and iron. It is also a source of calcium, and thus, is useful for vegans and those who are lactose intolerant. Exactly How Does One Consume Quinoa? The seeds are in general cooked the same way as rice and can be used in a wide range of dishes. 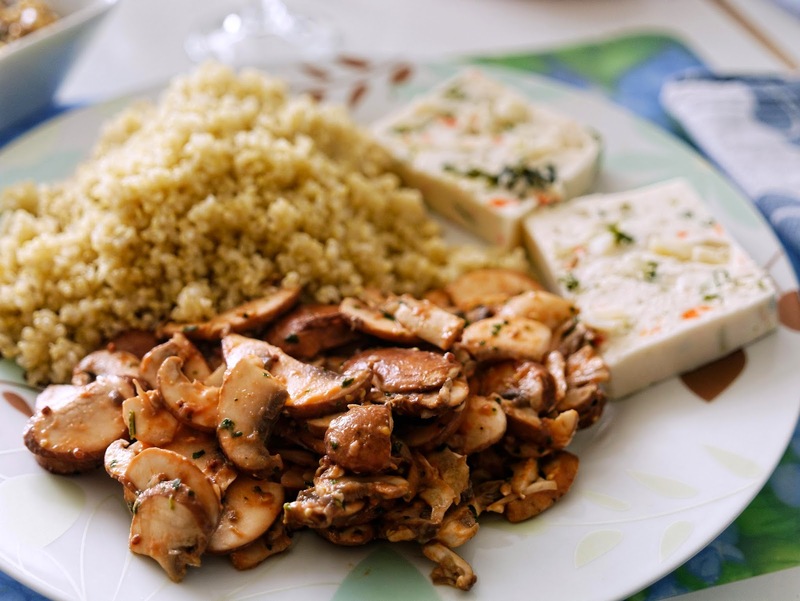 The good news is processes of boiling, simmering, and steaming quinoa do not appear to significantly compromise the quality of quinoa's fatty acids, allowing us to enjoy its cooked texture and flavor while maintaining this nutritional benefit. The leaves are eaten as a leaf vegetable, much like amaranth, but the commercial availability of quinoa greens is limited. In some forms the seeds are softened making them suitable to be added to salads and other cold foods. While it may be called a “pseudo-cereal” there is nothing fake about the health benefits of Quinoa. In fact, The Food and Agricultural Organization of the United Nations (FAO) has officially declared that the year 2013 be recognized as "The International Year of the Quinoa." Need some ways to incorporate quinoa into your diet? 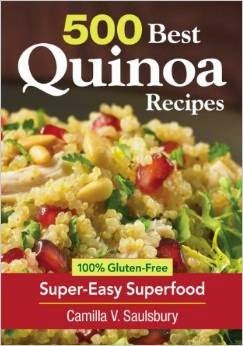 Grab this excellent recipe book, 500 Best Quinoa Recipes: 100% Gluten-Free Super-Easy Superfood. Watch the slideshow below. Want to post this slideshow on your blog or website? You can. Go here and and click the embed button (it looks like this <>) under the slideshow to easily share on your own blog or site. Your Guide To Happy, Healthy, Sustainable Weight Loss: Click the image above to instantly download (or read online). Yoga Versus Pilates: Which Should You Choose?